Over the past decade health care systems around the world have placed increasing importance on the relationship between patient choice and clinical decision-making. 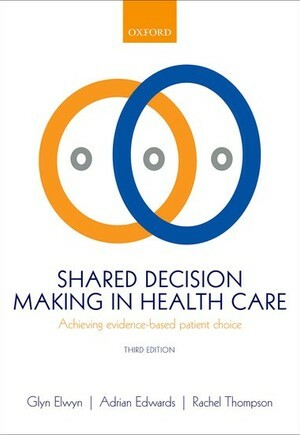 In the years since the publication of the second edition of Shared Decision Making in Health Care, there have been significant new developments in the field, most notably in the US where 'Obamacare' puts shared decision making (SDM) at the centre of the 2009 Affordable Care Act. practicalities of implementing and teaching SDM. The breadth of information in Shared Decision Making in Health Care makes it an essential resource for policy-makers and health care workers. As health care systems adapt to increasingly collaborative patient-clinician care frameworks, this will also prove a useful guide to SDM for clinicians of all disciplines.